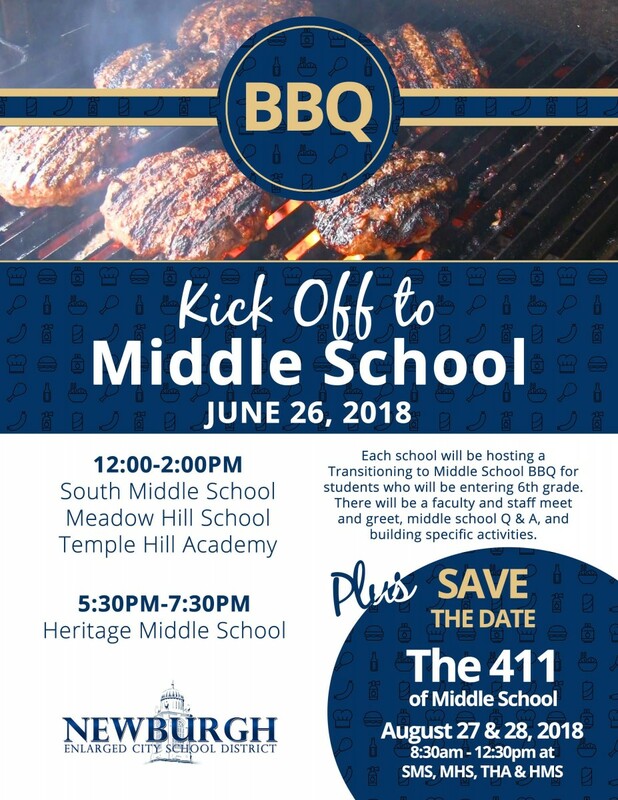 Each school will be hosting a Transitioning to Middle School BBQ for students who will be entering 6th grade. There will be a faculty and staff meet and greet, middle school Q & A, and building specific activities. August 27 & 28, 2018 - 8:30AM-12:30PM at SMS, MHS, THA, & HMS. Event is for scholars only. Transportation will be provided. Must RSVP (you can register at the link above as well.